Crafted in warm 14K gold, this ring features alternating round and baguette-cut diamonds. Radiant with 1/4 ct. t.w. of diamonds and a bright polished shine, this wedding band seals your vows in style. 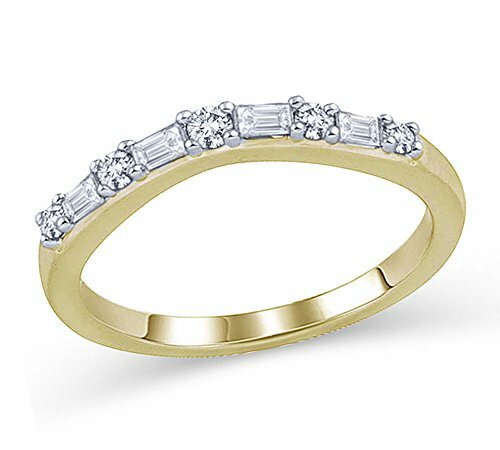 Round diamonds with baguette shape diamonds wedding anniversary Ring. Great gifts on Mother 's Day, Wedding, Anniversary day, Valentine's Day or Christmas Day. Search for Eternaldia Diamond Jewelry on amazon to get a glimpse of our latest collection.